Cleansing is the most important step in your skincare routine. If your skin is not thoroughly clean, then what’s even the point of layering on serums, creams and oils? Your skin will just suffocate; causing clogged pores and breakouts. I met way too many people who don’t remove their make up properly who wonder why they get spots. So let’s clarify! I like to follow a few rules when it comes to cleansing. 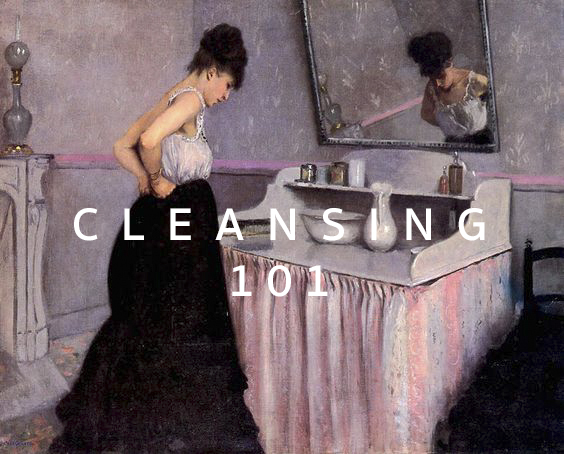 Number one: always double cleanse, especially if wearing make up or living in a polluted city. 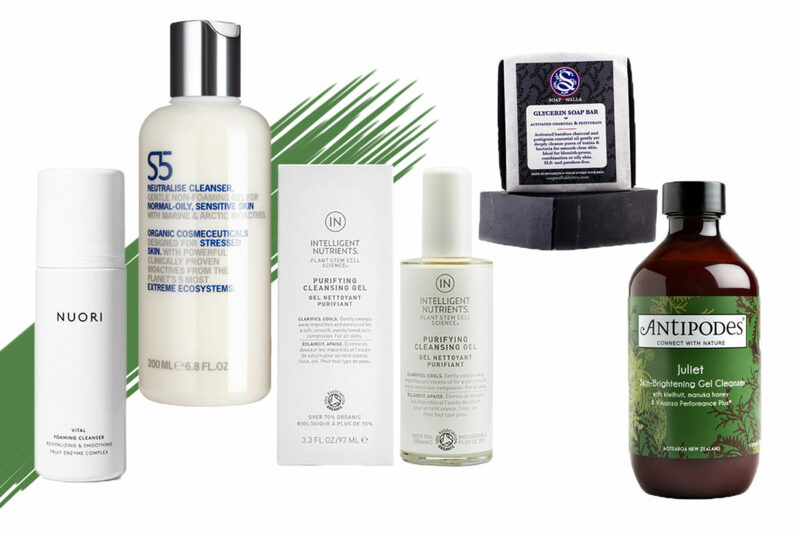 The first cleanse will remove your make up and pollution from your skin, and the second cleanse will truly clean your skin, allowing any active ingredients to do their jobs. Number two: use different cleansers to achieve different tasks. For example, some cleansers work brilliantly for removing make up, and some others are great skin refreshers. It’s very important to understand the differences. Foaming cleansers don’t take your make up off, I’m sorry, they just don’t. Neither splashing your face with water is considered “cleansing”. So lets break it down to types of cleansers. Micellar waters, oils, balms, creams and gels are all products you could use to wash your face. You can alternate between them, depending on your skin type, skin concern, how your skin is feeling that specific day, whether you wear heavy make up or not, or even based on the season. A handy product to have on-the-go. It has the consistency of water; you apply it on a cotton pad and use it to take your make up off. It works exceptionally well as a first cleanser for all skin types to remove light make up, and it’s especially popular with teens because it’s so easy to use. 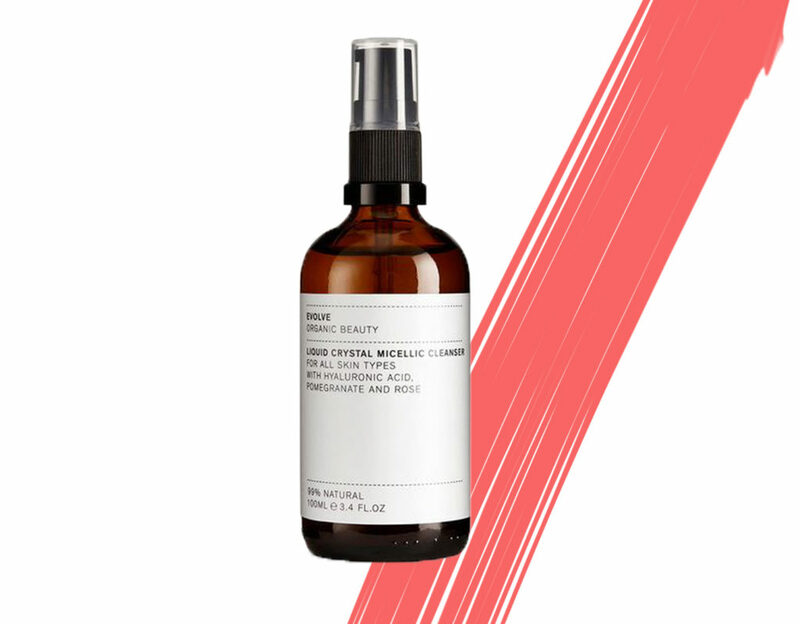 I love the Evolve Liquid Crystal Micellic Cleanser because it has the added benefits of hyaluronic acid and pomegranate extract to hydrate and brighten the complexion, thus making it a refreshing toner too! It’s a great multitasker, and a must have for travelling or if you wish to have minimal products in your regime. It can be used all year round, morning and night, especially in the summer time as it’s cooling on the skin. If you are a fan of heavy make up, this will melt away everything in one go. Oils and buttery balms make an excellent first cleanser/make up remover. 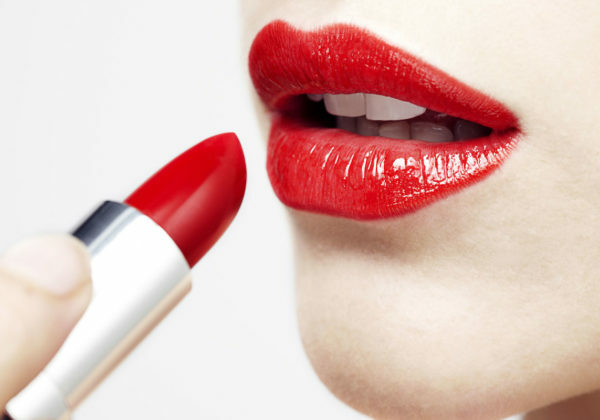 You can keep this step quite affordable if you are on a budget, since it only stays on your skin for a couple of minutes and you only need it to take away the bulk of your make up. Organic virgin oils like almond, coconut or olive oil will do for this step. Oils and balms can be used as a second cleanse too, yet this time I would suggest to bring out the big guns, the luxurious oils, which have more potent and active ingredients to address specific needs. For example the Omorovicza Thermal Cleansing Balm is great for purifying and detoxifying your pores and the May lindstrom The Pendulum Potion oil hydrates the skin as well as having the benefits of aromatherapy. However, this time around, take your time to massage your skin to allow the product to work its magic. It can be used all year around, but it’s especially satisfying in cold and dry winters. It makes a great night cleanser, since in the morning you’re not wearing any make up (hopefully!) and also at night we typically have more time to take care of ourselves. I would recommend oil cleansers to anybody with mature and dry skin to oily-combination. Don’t forget use your hot cloth to thoroughly remove the oil. Cream or milky cleansers are similar to oil cleansers in the sense that they are awesome for taking your make up off and they are both used with the hot cloth method. I’ll say use milky cleansers instead of oils if (a) your pores get clogged super easily, (b) if you still want to use the hot cloth method in the summer but you find using oils are just too heavy and (c) if you just prefer the texture of cream instead of oil. These things are personal preferences. 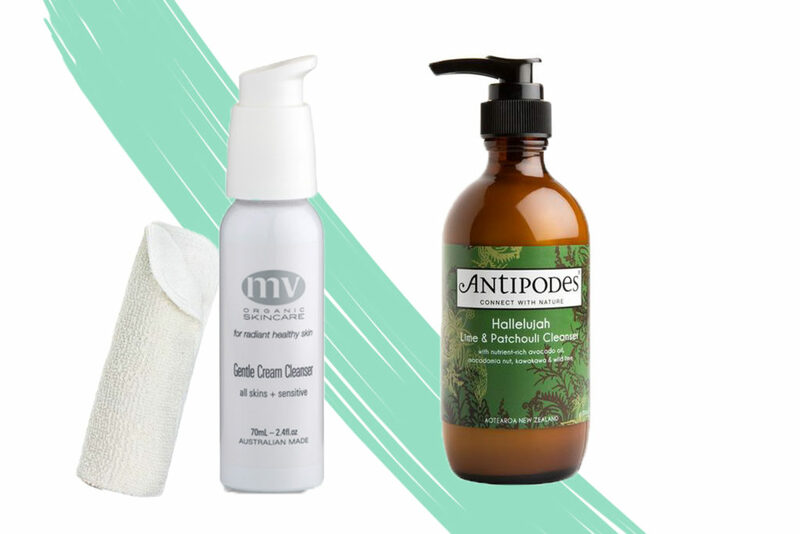 I highly recommend the MV Organic Skincare Gentle Cream Cleanser to all skin types but especially for sensitive skin, and the Antipodes Hallelujah Lime and Patchulli Cleanser to all skin types. Again, as with oil cleansers, creams can be used as a first and second cleanse, mostly at night all year round. Oh how much I love fancy cleansers… They are slightly different from your average cleanser. They are packed with active ingredients and they target specific skin concerns. 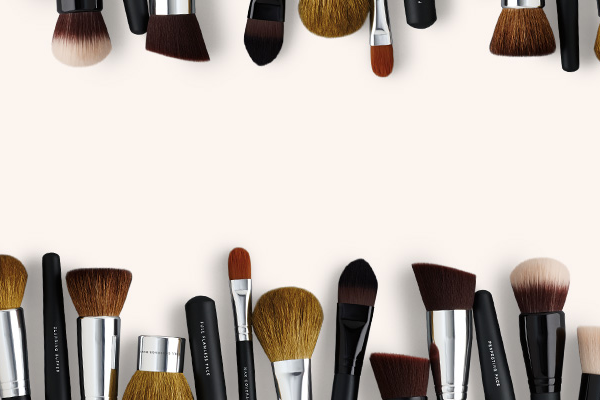 You don’t necessarily use them everyday, and you definitely don’t take your make up off with them. They are the crème de la crème of second cleansers in a nutshell. 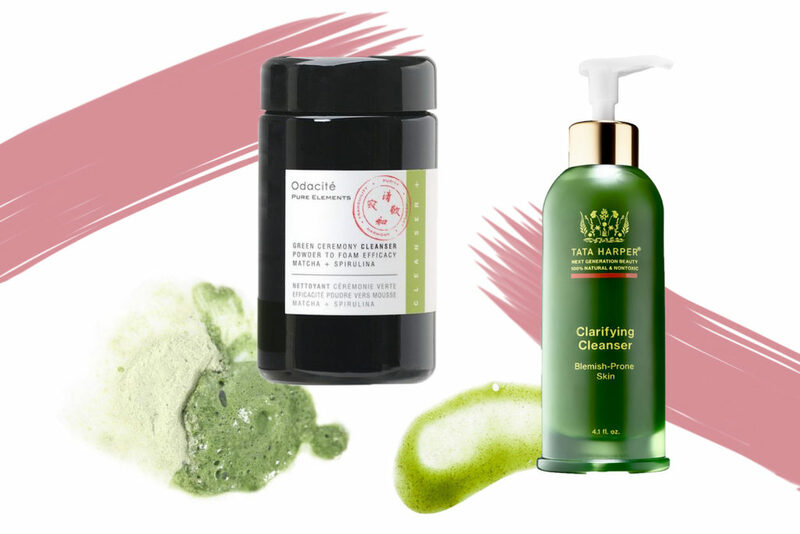 For example the Odacite Green Ceremony Cleanser is a powder-to foam formulation with ceremonial grade Matcha from Japan and Spirulina. It aims to purify, energize, detoxify and harmonize your skin – pure heaven. Another awesome product is the Tata Harper Clarifying Cleanser, which exfoliates & clarifies the skin in the gentlest yet effective way possible. Ingredients such as fresh mint give a cooling effect on the skin, honey gives it the antibacterial action, chlorella detoxifies and the bunch of BHA’S and AHA’S chemically exfoliate the skin without scrubbing. Whenever your skin feels like it needs to wake up and stop being so dull, just use these cleansers and you’ll see immediate results. That’s the other good thing about treatment cleansers; they are quick! Use your cleansers to your advantage! Have fun, mix and match, play around with different cleansing methods to figure out what you prefer to feel and personalize your routine to what your skin needs that specific day. Am I dry today? Am I spotty? Can I be bothered with oils and muslin cloths right now? How much make up am I going to put on? I really hope you’ll try some of the products and tips I recommended, and as always, if you have any questions about anything, just ask me!